Mojang made a pre-release version for the Minecraft 1.4 update. It is available on the official site right now. 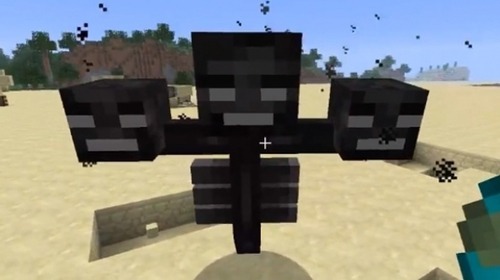 Nicknamed the Pretty Scary Update, 1.4’s release gives players an early look at the “Wither Boss”, which is a three-headed skeleton that throws exploding skulls. Something tells me players will be running away from this creature as fast as they can. Witches and other new features will be available for players just in time for Halloween. 1.4 also adds anvils for fixing items, changes the multiplayer functionality, server access, fixes a bunch of bug issues and has a world generation option. The full version of 1.4 is expected to launch on October 24th. Want To Help Rockstar With GTA V?